China is carrying on several anti-dumping investigations of raw materials used in pesticide production. CCM outlines the major process. In 2017 and the beginning of 2018, China has carried out multiple anti-dumping investigations against imports of chemical raw materials used for pesticide production from various countries. CCM has scanned the anti-dumping investigations that are related to pesticide raw materials and gives an overview of the process and what effect manufacturers have to expect from it. In accordance with the Anti-dumping Regulations of the People's Republic of China, on March 27, 2017, the Ministry of Commerce (MOC) issued the announcement to carry out an anti-dumping investigation against imports of methyl isobutyl ketone originating in the Republic of Korea, Japan and South Africa. The Investigation Authority has investigated into the existence of dumping and dumping margin, the existence of damage to China’s domestic industry of methyl isobutyl ketone caused by the Products under Investigation and the extent of such damage, as well as the causal relationship between the dumping and the damage. According to the investigation findings, the MOC released on November 20, 2017, an announcement on the preliminary ruling, preliminarily affirming that there was dumping of methyl isobutyl ketone originating in the Republic of Korea, Japan and South Africa and the domestic methyl isobutyl ketone industry was substantially damaged, and there was causal relationship between the dumping and the substantive damage. The MOC proposed suggestions on the levy of anti-dumping duties to the Customs Tariff Commission of the State Council, which then decided, as of March 20, 2018, to impose anti-dumping duties on imports of methyl isobutyl ketone originating in the Republic of Korea, Japan and South Africa. Imports of methyl isobutyl ketone originating in the Republic of Korea, Japan and South Africa will be subject to anti-dumping duties for five years as of March 20, 2018. Rates of anti-dumping duty imposed on companies range from 15.9% to 190.4%. Methyl isobutyl ketone is an excellent medium boiling solvent and organic synthesis and has wide uses. In terms of the solvent, it is mainly used in coating, medicine, pesticide, solvent dewaxing solvent, rare metal extracting agent, magnetic tape, ink, epoxy resin, adhesive, atomic absorption spectrometry and other aspects and also can be used for production of advanced automotive paint, ship paint, and container paint. On February 13, 2017, the MOC issued the announcement deciding to carry out an anti-dumping investigation against imports of ortho chloro para nitro aniline originating in India. The MOA has investigated into the existence of dumping and dumping margin, the existence of damage to China’s domestic industry of ortho chloro para nitro aniline caused by the Products under Investigation and the extent of such damage, as well as the causal relationship between the dumping and the damage. According to the investigation findings, the MOC on October 20, 2017, finally affirms that there was a dumping of ortho chloro para nitro aniline originated in India and the domestic ortho chloro para nitro aniline industry was substantially damaged, and there was a causal relationship between the dumping and the substantive damage. The MOC proposed suggestions on the levy of anti-dumping duties to the Customs Tariff Commission of the State Council, which then decided, as of February 13, 2018, to impose anti-dumping duties on imports of ortho chloro para nitro aniline originating in India. Imports of ortho chloro para nitro aniline originating in India will be subject to anti-dumping duties for five years. Rates of anti-dumping duty imposed on companies range from 31.4% to 49.9%. The chemical is usually yellow crystalline powder that is stable under normal temperature and pressure. It is soluble in ethanol, ether and benzene, and is slightly soluble in water and strong acid and insoluble in crude gasoline. It is used as an intermediate for the synthesis of disperse dyes, organic pigments and corrosion inhibitors. It is also used as a specific drug for the treatment of schistosomiasis, niclosamide, and also used as a pharmaceutical intermediate. Due to the Anti-dumping Regulations of China, on June 8, 2017, the MOC announced to carry out an anti-dumping investigation against imports of meta phenoxy benzaldehyde originating in India. The MOC has investigated into the existence of dumping and dumping margin, the existence of damage to China’s domestic industry of meta phenoxy benzaldehyde caused by the Products under Investigation and the extent of such damage, as well as the causal relationship between the dumping and the damage. The Investigation Authority has made a preliminary ruling according to the investigation findings. The MOC preliminarily ruled that there was a dumping of meta phenoxy benzaldehyde originating in India and the domestic industry of meta phenoxy benzaldehyde was substantially damaged, and there was a causal relationship between the dumping and the substantive damage. 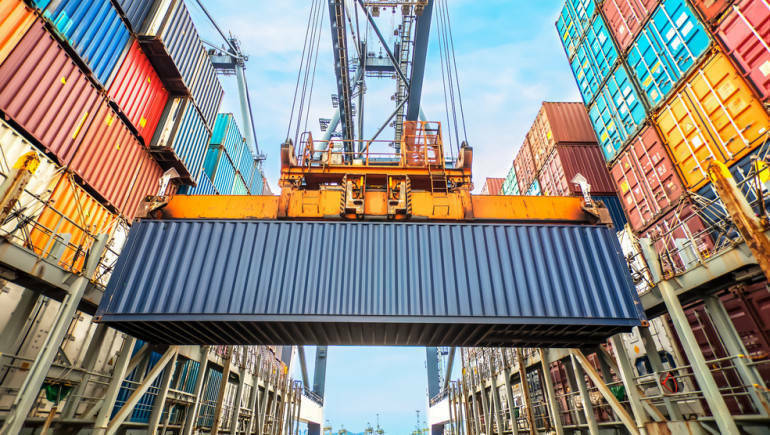 The MOC decides to carry out interim anti-dumping measures by levying margin according to Article 28 and Article 29 of the Anti-dumping Regulations. As of February 8, 2017, import operators shall pay a relevant margin to the Customs of China at the rate determined by this ruling for each company when importing the Products under Investigation. Rates of margin imposed on companies range from 36.2% to 56.9%. Meta phenoxy benzaldehyde is mainly used for the synthesis of cyhalothrin, cypermethrin, beta-cypermethrin, fenvalerate, fenpropathrin and other pyrethroid drugs, and then used in the manufacture of pyrethroid pesticides and other pesticide formulations. The MOC received, on December 20, 2017, a written petition for anti-dumping investigation formally submitted by Jiangsu Yangnong Chemical on behalf of domestic industry of ortho-dichlorobenzene (ODCB), in which the company requested an anti-dumping investigation to be conducted against imports of ODCB originated in Japan and India. In accordance with relevant provisions of the Anti-dumping Regulations, the MOC conducted an investigation into the qualification of the company, relevant situations of the products in question and the products of the same kind in China, impact of the imported products on domestic industry and the relevant situations of countries and regions involved. As of the issue date hereof, the MOC files the anti-dumping investigation against imports of ODCB originating in Japan and India. The anti-dumping investigation period determined by the examination is from October 1, 2016, to September 30, 2017, and the investigation period for industrial damages is from January 1, 2014, to September 30, 2017. ODCB can be used to produce chemical products such as 3,4-dichloronitrobenzene, 2,3-dichloronitrobenzene, fluoroaniline, 2,4-dichloro-5-fluoroacetophenone and the like, and then used in pesticides, pharmaceuticals, dyes and many other fields. On September 28, 2017, the MOC received an application for anti-dumping investigation formally submitted by Jiaxing Jinyan Chemical, Hubei Xianlin Chemical, Shanghai Fujia Fine Chemical, Oriental Petrochemical, Lotte Chemical and Maoming Shihua on behalf of the domestic industry of ethanolamine, in which the companies requested the anti-dumping investigation against imports of ethanolamine originated in the United States, Saudi Arabia, Malaysia and Thailand. The MOC reviewed the qualification of the applying companies, the situation relating to the products to be investigated according to the application and the like products in China, the influence of the products to be investigated on the domestic industry, and the situation relating to the country subject to investigation. As of the date of the announcement, the MOC conducts the case-filing of anti-dumping investigations against imports of ethanolamine originated in the United States, Saudi Arabia, Malaysia and Thailand within an investigation period from July 1, 2016, to June 30, 2017, and the investigation period of industry injury is from January 1, 2014 to June 30, 2017. The investigation shall commence on October 30, 2017, and usually end before October 30, 2018, and may be extended to April 30, 2019, under special circumstances. Ethanolamine is a collective name of monoethanolamine, diethanolamine and triethanolamine. Generally obtained by the reaction of oxirane and liquid ammonia, it is a kind of ethanolamine organic compound with some common characteristics of amine and alcohol. It is mainly used to produce surfactant, intermediates for agricultural chemicals and medicine, chemic necessities and personal hygiene. Get more insights into China’s pesticides market, by subscribing to CCM’s monthly published Newsletter on Herbicides, Insecticides, Fungicides, and Glyphosate.